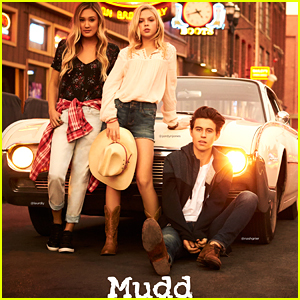 Nash Grier & Jordyn Jones Go Country For Mudd’s New Campaign with LaurDIY | Fashion, Jordyn Jones, LaurDIY, Lauren Riihimaki, Nash Grier | Just Jared Jr.
Nash Grier has gone country with Jordyn Jones and LaurDIY! The three social stars teamed up with Mudd for the 2017 spring campaign, dubbed “Destination Country Music”. The new campaign is also kicking off a fun Valentine’s Day sweepstakes where you can win a phone call with Nash. All you have to do to enter is follow @MuddStyle on Instagram and post a selfie with caption: “@MuddStyle, I want a V-Day phone call with @NashGrier!! !#PeaceLoveMudd” from February 1st-14th. Check out all the ad images below! Introducing the 2017 Mudd Crew!